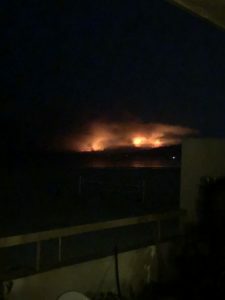 A quick update on the Malibu fires… this was the view from my bedroom the other night. Needless to say, it was shocking seeing the Malibu/Santa Monica mountains ablaze. The firefighters are miracle- workers as they continue fighting this monster. Today there are plumes of smoke from hotspots that have erupted, but nothing like the other night.